When a woman is pregnant, it seems like the list of “can’ts” is endless. This is for good reason. Some things that are seemingly harmless (in moderation) for the pregnant woman are toxic to the unborn child or can cause severe, lifelong effects. Many people have the misperception that because some drugs — cigarettes, alcohol, marijuana — are safe and legal for mom, that there is no harm to the baby. However, even safe, over-the-counter medications and some safe foods are unsafe to consume for the sake of the fetus. Here we will discuss common drugs that are used and how they affect a growing baby both in utero and after birth. Alcohol, while considered safe for adult consumption, is passed on to a baby in utero through the placenta and can have devastating effects on the unborn baby. A fetus does not process alcohol the same what that an adult can and quickly builds to more concentrated levels, even when small amounts are consumed by the mother. Alcohol prevents organs from receiving nutrients and oxygen, which can result in severe abnormalities, including a small head, a cleft palate, dental malformation, developmental and intellectual delays, speech and movement impediments, poor vision, heart problems, coordination and social problems, kidney defects, deformed limbs, low birthweight, and behavior, learning, and mental health problems. Babies who are born with alcohol in their system may suffer alcohol withdrawal, with symptoms that are similar to that of adult withdrawal. Alcohol is passed through breastmilk and should not be consumed if breastfeeding. Marijuana is not yet legal for recreational use in Michigan but is on the voting ballot for legalization this coming fall. With many states legalizing the use of marijuana, and the increase in medical marijuana licenses, it has become more common and widely used. Many people (falsely) believe that because marijuana is natural and relatively safe for most people, that it is harmless to use during pregnancy. In fact, many women who don’t smoke otherwise partake in marijuana as a natural remedy for morning sickness. Marijuana in a fetus makes the baby more likely to have their first bowel movement — meconium — while still inside, which can cause a host of problems, including early onset of labor, fetal distress, and lung infections. Marijuana use can also cause poor or delayed growth both in utero and as a baby, behavior and attention problems, and breathing problems. It is important to understand that marijuana is stored in fat tissue, which is minimal in fetus and babies. When a mother is breastfeeding and using marijuana, it will be passed to the baby in the breast milk and can build up to toxic levels in the baby’s fat tissue. There is no amount of opioid that is safe to use at any point in pregnancy. Pregnant women who use narcotics are at a higher risk of preterm labor and delivery, and babies are more at risk to be delivered stillborn. Babies who have been exposed to narcotics in utero and do survive generally have significant growth problems. Worse yet, opiates do cross the placenta and will affect the baby in the same way it affects the mother, causing the baby to be born addicted to opiates and suffer withdrawal symptoms the same as a grown addict. These withdrawal symptoms can be severe and life-threatening, and require special treatment and monitoring. Using crack, crack-cocaine, or cocaine during pregnancy comes with a lot of risks that include miscarriage, stillborn, early delivery, and separation of the placenta — which is dangerous for both mom and baby. If the baby is born safely, they are at an increased risk for stroke, low birth weight and poor lifelong growth, feeding problems, limb deformities, brain damage, reproductive abnormalities, and being born addicted. After birth, the baby will likely experience withdrawal symptoms and have to be monitored. These babies are typically poor feeders and suffer from a condition called “failure to thrive.” As they grow, they are more susceptible to sudden infant death syndrome (SIDS)/ sudden unexpected infant death (SUID), and long-term behavioral and mental health problems. These substances are transmitted through breast milk and should not be used while breastfeeding. Babies who are exposed to drugs or alcohol in utero are much more likely to develop an addiction of their own when they are older, whether or not they suffered severe birth problems. 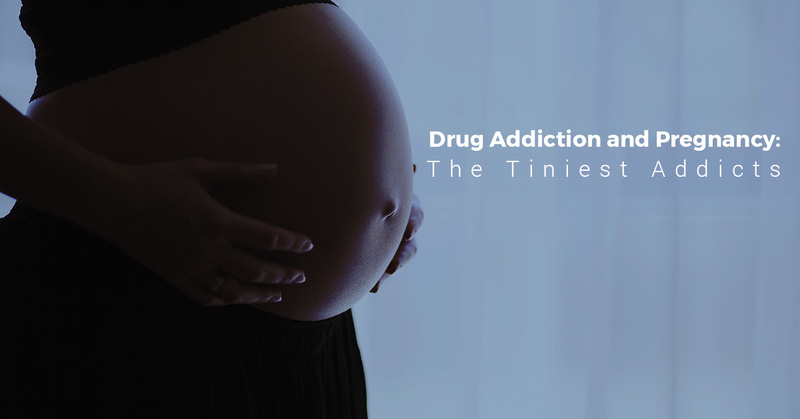 For pregnant women who are facing a substance abuse or addiction problem, it is important to get help right away. When a mother goes through withdrawal during pregnancy, it can cause additional harm to the baby, and should not be done without medical intervention. 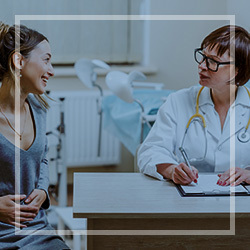 If you or someone you love uses any addictive substance and is pregnant or trying to get pregnant, consult a drug rehabilitation clinic to start your sober life. For a drug rehab program in Detroit, trust Metro Rehab to lead you to sobriety. Contact us for more information or to schedule your consultation today.